The legendary series INSIDE THE NFL is set to open its 40th season with the addition of two-time Super Bowl Champion and 17-year veteran NFL linebacker Ray Lewis. Lewis joins analysts Phil Simms, a two-time Super Bowl Champion, and Boomer Esiason, 1988 NFL MVP, along with Sports Emmy® Award winning host James Brown when the season premieres Tuesday, Sept. 5 at 9 p.m. ET/PT. The Sports Emmy® Award winning show, entering its 10th season on SHOWTIME, will be followed by the season premiere of the all-access documentary series A SEASON WITH NAVY FOOTBALL at 10 p.m. ET/PT. Weekly episodes covering every game with trademark highlights from NFL Films, special in-depth features and spirited debate on the game’s hottest topics will air every Tuesday night throughout the NFL season on SHOWTIME. Broadcast and online clip restrictions: News outlets are cleared to use the INSIDE THE NFL clip on broadcast and digital platforms. Broadcast outlets must reference INSIDE THE NFL and SHOWTIME verbally. Digital outlets must reference INSIDE THE NFL and SHOWTIME in the accompanying copy or graphically over the footage. For more information about INSIDE THE NFL, visit SHO.com, follow us on Twitter, Instagram and Facebook and join the conversation using #INSIDETHENFL. Showtime Networks Inc. (SNI), a wholly-owned subsidiary of CBS Corporation, owns and operates the premium television networks SHOWTIME®, THE MOVIE CHANNEL™ and FLIX®, and also offers SHOWTIME ON DEMAND®, THE MOVIE CHANNEL™ ON DEMAND and FLIX ON DEMAND®, and the network’s authentication service SHOWTIME ANYTIME®. Showtime Digital Inc., a wholly-owned subsidiary of SNI, operates the stand-alone streaming service SHOWTIME®. SHOWTIME is currently available to subscribers via cable, DBS and telco providers, and as a stand-alone streaming service through Apple®, Roku®, Amazon, Google, Xbox One and Samsung. Consumers can also subscribe to SHOWTIME via Hulu, YouTube TV, Sling TV, Sony PlayStation™ Vue and Amazon Channels. SNI also manages Smithsonian Networks™, a joint venture between SNI and the Smithsonian Institution, which offers Smithsonian Channel™, and offers Smithsonian Earth™ through SN Digital LLC. SNI markets and distributes sports and entertainment events for exhibition to subscribers on a pay-per-view basis through SHOWTIME PPV. For more information, go to www.SHO.com. NFL Films – winner of 121 Sports Emmy Awards – remains a gold standard in sports television, providing unprecedented access to and legendary storytelling about the sport of professional football. NFL Films is a part of NFL Media, the owned and operated media division of the National Football League which is comprised of NFL Network, NFL Films, NFL.com, NFL Now, NFL Mobile from Verizon and NFL RedZone. With more than 100 million feet of film in its library, NFL Films is the historical backbone of NFL Network. NEW YORK (Sept. 29, 2015)—This week’s installment of Sports Emmy® Award-winning studio show “INSIDE THE NFL” premieres tonight, Tuesday, September 29 at 9 p.m. ET/PT on SHOWTIME. Host Adam Schein is joined by expert analysts Boomer Esiason, Hall of Famer Michael Irvin and N.Y. Jets wide receiver Brandon Marshall in-studio to discuss all the action of NFL Week 3. This week’s installment of “INSIDE THE NFL” is highlighted by discussions of Panthers’ quarterback Cam Newton, Pittsburgh Steelers back-up QB Michael Vick, the locker room culture and NFL teams struggling after three weeks. Plus, New England Patriots head coach Bill Belichick and more are wired for sound. “INSIDE THE NFL” covers every game, every week, with trademark highlights from NFL Films, special in-depth features and spirited debate on the hottest topics in the NFL. The show is produced by CBS Sports and NFL Films and airs every Tuesday during the NFL season through Feb. 9, 2016. “INSIDE THE NFL,” the longest-running show on cable television, is produced by CBS Sports and NFL Films. The executive producers are Sean McManus, Chairman, CBS Sports and Ross Ketover and Pat Kelleher of NFL Films. Pete Radovich Jr., the Emmy Award-winning Creative Director for CBS Sports, serves as coordinating producer. “If he’s comparing himself to a sovereign state instead of the non-profit that FIFA is we’ve got real obstacles here.” – Alexandra Wrage. NEW YORK (June 3, 2015) – FIFA President Sepp Blatter has been called a Mafia Don for the way he ran the international soccer organization whose top executives are now under U.S. indictment for corruption. Blatter earned that reputation, says a former member of FIFA’s International Governance Committee, with his arrogant words and behavior that she saw first-hand and caused her to resign in disgust. The former IGC member and anti-corruption specialist Alexandra Wrage, speaks with Armen Keteyian on the next edition of 60 MINUTES SPORTS, premiering tonight, June 3 at 9 p.m. ET/PT on SHOWTIME. FIFA, looking to quell increasing amounts of criticism, set up the IGC a few years ago to help reform the organization. But Wrage says Blatter rejected a basic idea embraced by most corporations. She says the FIFA president made an imperious comment when she made a suggestion to add a few independent members to his executive committee to create transparency. “When I made that suggestion directly to him, his response was–noting that I am Canadian–that if the Canadian parliament wouldn’t have independent advisors then FIFA shouldn’t either. NEW YORK (June 2, 2015) – They spend hundreds, sometimes thousands of dollars on their precious shoes. They will wait overnight in lines to purchase new editions. They trade them; they resell them at a profit. They just have to have them. Who and what drives these “sneakerheads” in their seemingly obsessive hobby? As Pam Oliver finds out, it’s sneakerhead royalty like Yankee pitcher CC Sabathia and the Giants’ wide receiver Victor Cruz. It’s also a shoe hoarder who straddles the hip-hop and pro sports world who goes by the nickname “Pecas,” who may be the king of sneakerheads with 1,500 pairs. Go inside this glitzy, trendy corner of the multi-billion dollar sports shoe industry on the next edition of 60 MINUTES SPORTS this Wednesday at 9 p.m. ET/PT only on SHOWTIME. The “sneakerhead” trend was born out of the fascination with expensive Air Jordan shoes from Nike and the hip-hop crowd who became high profile models for them. Nowadays it’s special editions, game-worn shoes, autographed shoes and more, driving an interest among collectors in what used to be just a pair of sneakers. Shawn Costner, known as “Pecas” –“freckles” in Spanish – came from the hip-hop world and now works for Jay Z’s sports agency. It’s a perfect pedigree for his sneaker obsession, something he began as a boy in Brooklyn, N.Y. It’s an influential urban culture he describes in the urban parlance. “Whatever the urban kids are wearing …whatever they say is the next flyest thing, that’s what’ll be the next fly thing…You want to have the fly stuff. You want to have the cool stuff. You just want to be fly,” he tells Oliver during an interview in his home, in which sports shoes can be found in nearly every room. Manufacturers like Nike will send special shoes they produce to influencers like Pecas, who often can be seen with the likes of music star Rihanna. But sports stars drive even more interest in the sport shoe collecting world. As big influencers, they get sent free pairs, too. Some, like New York Giants’ Cruz – who owns hundreds of pairs — will still spend big money to buy more. Oliver went shopping with him when he spent $550 on a single pair. “It’s not so much about the shoes. It’s about the stories,” says Cruz. He can afford as many as he wants now, but that wasn’t always the case. “A time from when I was younger… a pair that I could never get… the pair, my mother was, like, ‘You can’t have,’” he remembers with a laugh. FROM BARTOW ARENA IN BIRMINGHAM, ALA.
Birmingham, Ala. (May 14, 2015) – Undefeated Heavyweight World Champion Deontay “The Bronze Bomber” Wilder (33-0, 32 KOs), of Tuscaloosa, Ala., will make the first defense of his title when he faces Eric “Drummer Boy” Molina (23-2, 17 KOs), of Raymondville, Texas, in the main event of SHOWTIME CHAMPIONSHIP BOXING® on Saturday, June 13, live on SHOWTIME® (9 p.m. ET/6 p.m. PT) at Bartow Arena in Birmingham, Ala.
Tickets for the event, which is promoted by DiBella Entertainment in association with Bruno Event Team are on sale now. Tickets start at only $25 with the best seats in the house going for $200. VIP packages are also available. To purchase tickets fans should visit alabamatitlefight.com. Tickets are selling fast and a sellout is anticipated. “It’s a wonderful feeling to be able to defend my heavyweight championship in my home state,’’ Wilder said. “I’ve been waiting for this moment for a long time. NEW YORK (May 12, 2015)—The boxing blockbuster event, Floyd Mayweather vs. Manny Pacquiao, shattered the previous record for total pay-per-view buys and now ranks as the highest-grossing pay-per-view of all time. Initial reports from distributors indicate that the event generated more than 4.4 million U.S. buys and more than $400 million in domestic pay-per-view revenue alone. With additional revenue from the live gate at MGM Grand in Las Vegas, international television distribution, sponsorships, closed circuit and merchandise sales, the event is expected to generate in excess of $500 million in gross worldwide receipts. The news was announced jointly by Showtime Networks Inc., a subsidiary of CBS Corporation, and HBO in conjunction with event promoters Mayweather Promotions and Top Rank, Inc. The welterweight world championship unification bout nearly doubled the previous record of 2.48 million buys generated by the Oscar De La Hoya vs. Floyd Mayweather boxing event in 2007 and nearly tripled the record $150 million in U.S. pay-per-view revenue generated by Mayweather vs. Canelo Alvarez in 2013. Live gate receipts for the star-studded event at the MGM Grand Garden Arena produced more than $71 million in revenue, dramatically eclipsing the previous live gate record of $20 million (for Mayweather vs. Canelo) for both the sport of boxing and Las Vegas. Additionally, Mayweather vs. Pacquiao set the record for closed circuit admissions and revenue both in Las Vegas and at establishments nationwide. The event sold nearly 46,000 closed circuit admissions at MGM Resorts International properties in Las Vegas alone and was available at more than 5,000 bars, restaurants and commercial establishments throughout the U.S. Distributed in 175 countries worldwide, Mayweather vs. Pacquiao was available in essentially 75 percent of the world’s territories, setting the revenue record for international distribution. As reported last week, Mayweather vs. Pacquiao drew enormous numbers on social media. For example, Facebook reported that 37 million unique people contributed more than 115 million interactions from the start of the event to 30 minutes following its completion, a new record for a boxing event. The May 2 promotion included unprecedented marketing and cross-promotional support from distributors as well as record revenue from the event’s major sponsors. Mayweather vs. Pacquiao was a 12-round welterweight world championship unification bout promoted by Mayweather Promotions and Top Rank Inc., and co-produced and co-distributed by HBO PPV® and SHOWTIME PPV®. NEW YORK (May 7, 2015)—Sports Emmy® Award winning reporter Jim Gray of SHOWTIME Sports® sat down with pound-for-pound champion Floyd “Money” Mayweather for an exclusive and candid interview late Tuesday night, just days after Mayweather dominated Manny “PacMan” Pacquiao en route to a 12-round unanimous decision victory last Saturday night in Las Vegas. The interview will premiere this Saturday, May 9, on SHOWTIME immediately following the network’s premiere of Mayweather vs. Pacquiao (9 p.m. ET/PT). In the interview, Mayweather addresses the claim made by Pacquiao’s camp that the Philippine fighter sustained an injury to his right shoulder that hampered his ability during the bout. Mayweather also discusses the possibility of a rematch with Pacquiao and fighting beyond his next scheduled event in September. “Absolutely not,” Mayweather told Gray when asked if he could detect a problem with Pacquiao’s shoulder during the bout. “He was fast. His left hand was fast. His right hand was fast and he was throwing them both fast and strong. “Excuses, excuses, excuses,” continued Mayweather, who remains undefeated in his professional career with 48 wins, no losses and no draws. Mayweather goes on to address the possibility of a rematch. The compelling interview will air immediately following the SHOWTIME premiere of the welterweight world championship unification bout at 9 p.m. ET/PT. The interview will be immediately followed by the premiere of INSIDE MAYWEATHER vs. PACQUIAO Epilogue, the acclaimed original documentary series from SHOWTIME Sports. NEW YORK (May 5, 2015) – You can’t get much closer to pure baseball than the Cape Cod Summer Baseball League. There is no admission, seats are usually on the grass and future major leaguers play their hearts out for room and board. It’s strictly amateur, but as Sharyn Alfonsi finds out, this home-spun league, which attracts the best college baseball players in America and the professional scouts, is one of the biggest sources of Major League Baseball talent in the world. 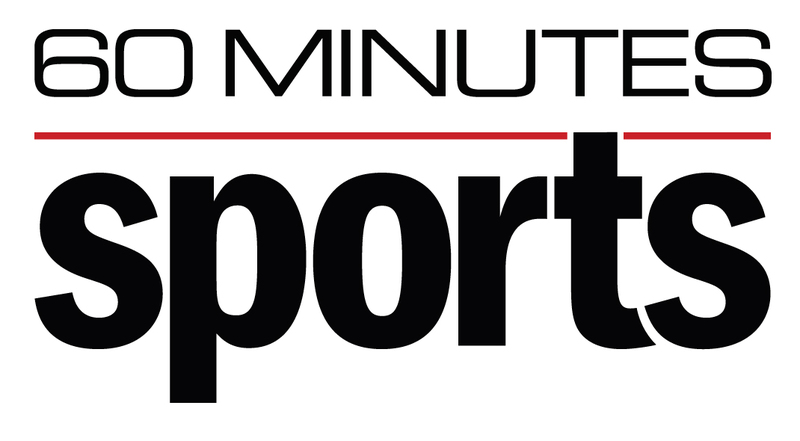 Alfonsi’s report from Cape Cod will be featured on the next edition of 60 MINUTES SPORTS, Wednesday, May 6 at 10 p.m. ET/PT, only on SHOWTIME. “This league is the best amateur league in the world, bar none,” says Mike Roberts, who coaches the team in the town of Cotuit. He retired after 20 years as the baseball coach at the University of North Carolina, where his connections help him bring talent to Cape baseball. “Each team kind of has their pockets that they recruit [from] different schools, different coaches they’re friends with,” he tells Alfonsi. Such recruiting is why more than 1,100 players who made the majors have spent at least a season playing on Cape Cod. Current big leaguers who played summer ball on Cape Cod include Yankee slugger Mark Teixiera and Tampa Bay third baseman Evan Longoria. Hall of Famers Carlton Fisk and Frank Thomas also played on the Cape. All that talent makes the league a boon for major league scouts. Nick Hostetler scouts for the Chicago White Sox and says the Cape is the place to find the best college players all in one place. But he has competition. How many scouts come out to a game? “There could be anywhere from 20 to 50 guys at one game,” says Hostetler. The ball players stay with families in town who provide room and board as a matter of civic pride, love of the game and a chance to live with future sports stars. Ashby Crafts has been hosting players on her small farm for 14 years. As she shows pictures of her former charges, she points to the ones who made the pros. She says she gets attached to them. “You say goodbye to your friend, but you hope you see them on national TV very shortly,” she tells Alfonsi. NEW YORK (May 4, 2015) – Former NBA star Yao Ming says his mother didn’t want him to play basketball in China’s government-run sports system, Lesley Stahl reports in a story that looks at the problems China’s sports system is facing and how it is trying to change with the times. Stahl’s report airs on the next edition of 60 MINUTES SPORTS, Wednesday, May 6 at 10 p.m. ET/PT only on SHOWTIME. Yao, who is over 7 feet tall, takes Stahl inside the Shanghai Sports Institute, where some of China’s elite athletes train and where Yao honed the basketball skills he would later use playing for the Houston Rockets. But when he was young, Yao says, his mother didn’t want him to enter the sports system at all; she wanted him to go to a regular school, get a good education, and perhaps get a scholarship to college. Instead, he spent his teenage years living at the Sports Institute and training day-in and day-out. “First of all, how many sons really listen to their mom?” Yao says with a laugh. He tells Stahl he received only about 10 hours of education a week when he was training at the Institute, and that’s why he’s back in school now, at age 34, trying to get his college degree. “How are you doing [in college]?” Stahl asks. “Don’t ask,” Yao replies. China’s sports system was based on the Soviet model. It grooms athletes from an early age, and succeeded in winning 51 gold medals at the 2008 Olympics in Beijing, the most for a nation. But the system has been less successful at promoting fitness for the masses and preparing athletes for life in China’s new and more market-oriented workplace. Stahl interviews Zhang Shangwu – a star gymnast who tore his Achilles tendon and today performs in the streets of Beijing for spare change. “There’s a big gap between you and the outside world,” he told Stahl. “And you have no skills to make a living,” says Zhang. Stahl also talks with Sang Lan, a gymnast who was paralyzed in an accident during the 1998 Goodwill Games in New York. At the time, the Chinese team did not have accident insurance for its athletes. “I had to depend on myself,” Sang Lan says, recalling how she had to rebuild her life after returning to China in a wheelchair. China’s General Administration of Sport told 60 MINUTES SPORTS that there is now an accident insurance program for athletes, who are now required to attend at least 12 hours of classes a week. Susan Brownell, an American professor who has studied the Chinese sports system, says there have been problems implementing those changes, but the Chinese really do want reform. Saturday’s welterweight unification showdown between Floyd Mayweather and Manny Pacquiao will premiere on SHOWTIME® next Saturday, May 9 at 9 p.m. ET/PT. The delayed telecast of Mayweather vs. Pacquiao will feature exclusive analysis from SHOWTIME boxing experts and will be immediately followed by the premiere of INSIDE MAYWEATHER vs. PACQUIAO Epilogue. The Sports Emmy Award-Winning “Epilogue” shines the spotlight on fight week and takes viewers inside the ropes and into the mind of a prizefighter like no other show on television. NEW YORK (April 24, 2015) – Showtime Networks Inc. and parent company CBS Corporation have scheduled a broad range of programming and promotion across the Company’s diverse portfolio of media platforms in anticipation of the showdown between Floyd Mayweather and Manny Pacquiao on Saturday, May 2. SHOWTIME Sports® is anchoring the charge with 13½ hours of first-run shoulder programming, including its acclaimed documentary series INSIDE MAYWEATHER vs. PACQUIAO, classic fights and a comprehensive offering of digital assets. In addition, the CBS Television Network will run promotional spots in primetime and late-night programming throughout fight week. This will be supplemented with marketing support and editorial coverage from CBS Sports Digital, significant coverage across CBS Sports Radio and a dozen CBS Radio stations throughout the country, and a robust schedule of shoulder programming and marketing support on CBS Sports Network. INSIDE MAYWEATHER vs. PACQUIAO delivers a unique perspective of the pound-for-pound champion Mayweather in the weeks leading up to the marquee event. The four-part documentary series from SHOWTIME Sports includes the Sports Emmy Award-winning “Epilogue” which shines the spotlight on Fight Week and takes viewers inside the ropes on Fight Night. A full schedule of the four-part series is detailed below. CBS Television Network will run Mayweather vs. Pacquiao promos during primetime and late-night throughout Fight Week. CBS owned and operated television stations throughout the country have been actively engaged in coverage of the event since the March 11 kick-off press conference in Los Angeles. These affiliate stations, located in the nation’s top markets, will have access to all the news and footage of fight week through the distribution network of CBS Newspath. CBS Sports Network will provide live Fight Week coverage from Las Vegas, including the official Weigh-In on Friday, May 1 (6 p.m. ET), as well as immediate reaction and analysis following the fight and the post-fight press conference. During the week leading up to the bout, the Network also will air encore presentations of classic Mayweather fights and INSIDE MAYWEATHER vs. PACQUIAO episodes. CBS Sports Digital has launched a landing page at CBSSports.com, a one-stop shop for everything Mayweather vs. Pacquiao. The ‘Tier 1’ support from CBS Sports Digital includes static homepage promotions, additional marketing and significant editorial coverage on all digital platforms, including breaking news, commentary and placement of live event streams. CBS Radio is backing May 2 with stations from 10 of the country’s top markets broadcasting live from MGM Grand, including WFAN in New York, KROQ-FM in Los Angeles, KRLD-FM in Dallas and WIP-FM in Philadelphia. Additionally, CBS Sports Radio’s nationally syndicated “The Doug Gottlieb Show” and (Scott) “Ferrall On The Bench” will be in Las Vegas for Fight Week. “The Doug Gottlieb Show” is simulcast on CBS Sports Network on Friday, May 1. CBS Radio coverage also includes a special broadcast hosted by WFAN’s No. 1 morning show personalities Boomer and Carton on Saturday prior to the fight from 6-8 p.m. ET. The program is available on WFAN, CBS Sports Radio, and select CBS Radio stations nationwide. The special also will be simulcast for television on CBS Sports Network. CBS Local Digital Media has created a comprehensive array of online audio, video and editorial features to promote the fight which can be experienced across a variety of digital and mobile platforms. #MayPac:Daily is a daily online show hosted by SHOWTIME Sports personality Mauro Ranallo. The series will deliver the buzz of Fight Week in Las Vegas with special guests from sports and entertainment, insider analysis and more. Taped live from the casino floor at MGM Grand, #MayPac:Daily will be posted nightly Tuesday–Friday on http://www.sho.com/sho/sports/home and Youtube.com/shosports. Additionally, the SHOWTIME Sports digital team is working closely with SnapChat to deliver exclusive content, launching a new boxing blog on TUMBLR called Pound for Pound, and working with Twitter on a unique feature capturing the years of social conversation leading to #MayPac. Classic Floyd Mayweather fights are being offered across the premium network’s portals, including nightly on SHOWTIME EXTREME, SHOWTIME ON DEMAND and SHOWTIME ANYTIME. Those platforms will also offer the media workouts of Mayweather and Pacquiao and the live stream of the final press conference. Fans can tune-in to the final stare-down between the fighters on Friday, May 1 when SHOWTIME airs WEIGH-IN LIVE: MAYWEATHER vs. PACQUIAO. SHOWTIME Sports also delivers a host of short-form content available across multiple platforms, including original music videos, Mayweather greatest hits, a Spanish web analysis and more. Episode 2 premieres Saturday, April 25, at 7:30 p.m. ET/PT on SHOWTIME. LAS VEGAS (April 24, 2015) – There is just over one week until Floyd “Money” Mayweather and Manny “Pacman” Pacquiao square off for their epic welterweight championship showdown taking place Saturday, May 2 at the MGM Grand Garden Arena that will be co-produced and co-distributed by HBO Pay-Per-View® and SHOWTIME PPV® beginning at 9 p.m. ET/ 6 p.m. PT. While fans have gotten glimpses into the lives of these fighters through preview shows and social media postings, there are still many aspects of their lives that the public knows nothing about. Before training camp ends and the fighters lace up for fight night, take a look at some interesting things that you might not know about Mayweather and Pacquiao. 5. A guilty pleasure is playing Mega Touch and holding the highest scores in every game on there- his favorites are Spades, Dominos and word scrambles. 6. The movie Troy with Brad Pitt is one he likes to watch over and over again. 8. When out to eat, He always orders a glass of hot water to let his silverware soak in the glass before using them. 9. The tree trunks he has been using to chop wood are brought in from Big Bear and weigh nearly 700 pounds each. 11. He doesn’t use a microwave, only eats food cooked and heated up on a stove and in an oven. 12. His morning routine includes brushing teeth for 10 straight minutes. Manny is a big photography buff. This week he purchased two Canon flagship cameras – the 1DX — complete with lenses and accessories. 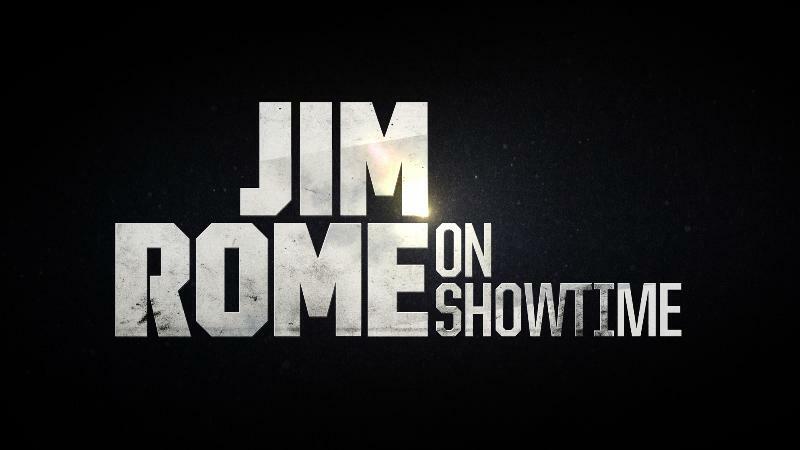 LOS ANGELES (April 21, 2015) – Washington Wizards point guard John Wall talks Paul Pierce, elite point guards in the league and what lies ahead as he looks to lead his team deep into the playoffs on this week’s episode of JIM ROME ON SHOWTIME this Wednesday at 9 p.m. ET/PT on SHOWTIME. Plus, Heisman Trophy finalist and NFL-bound record-breaking running back Melvin Gordon discusses the NFL draft while wearing a Dallas Cowboys’ jersey and NFL veteran Jay Feely calls Tim Tebow the worst quarterback he ever saw during his career in the NFL. Appearing on this week’s edition of The Forum were Feely, New York Times best-selling author Jeff Pearlman and former NBA All-Star and current basketball analyst Jerry Stackhouse as they debated Tebow, Johnny Manziel’s road to recovery and Lebron James’ legacy. Additional highlights from the show include an in-depth Front Row interview with Amy Van Dyken, a six-time Olympic Gold Medalist in swimming who became a paraplegic in an ATV accident less than a year ago. Rome also throws 10 questions at UFC President Dana White. JOHN WALL: “A little bit here and there. I’m one of two guards this season to average a double-double. I’m not one of those guys that’s going to average 25 points, but averaging 18-20 points with almost 10 assists is good to me and that’s the reason I should be in that discussion [among the league’s top guards]. MELVIN GORDON: “All you hear is that Todd Gurley is the special [running] back among the group. I want to be the first [running] back taken. I feel we’re both special, but I’m a special [running] back. I like to show [it] with my actions, but if I have to come out and tell you that I’m a special guy so you don’t overlook me, I will. JAY FEELY: “I wouldn’t. As a quarterback, you have to be the leader of that franchise. If you choose not to be or you can’t be, then there’s a black hole that exists in that locker room because you need the quarterback to be your leader.